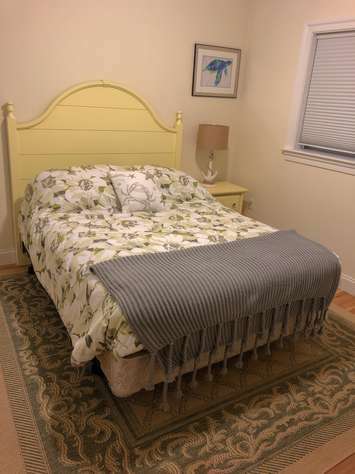 Amazing North Beach two bedroom rental with ocean views! 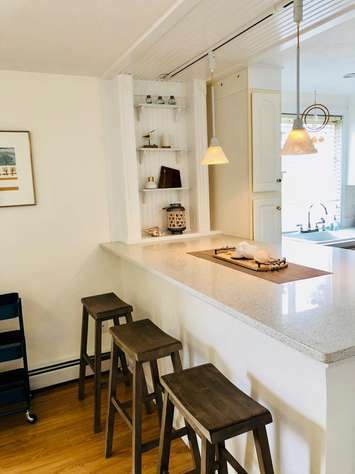 Kitchen features granite counter tops, farmers sink, stainless steel appliances, and a breakfast bar/island. Multiple porches. Two bathrooms. On-demand hot water system. Washer/Dryer. WIFI & Cable. Parking for 2+ cars. 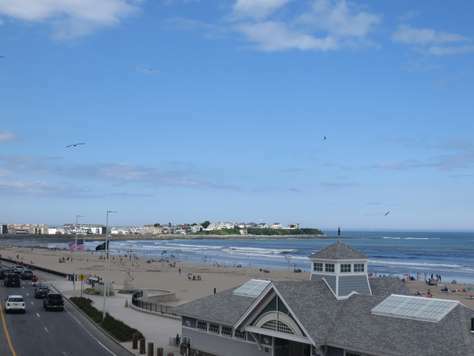 One of Hampton Beach's newest luxury ocean view condo developments. 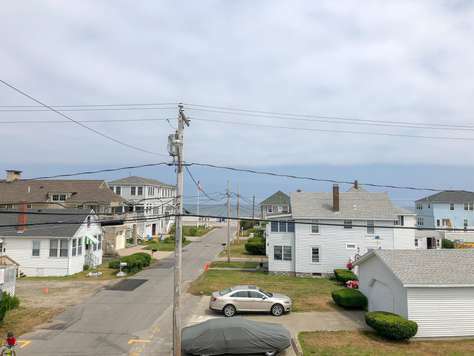 This one bedroom second floor ocean view condo features high end furnishings, stainless steel appliances, whisper quiet air conditioning, WIFI, and Cable. Spectacular views from your very own private balcony. Perfect firework views! Conveniently located on the ground level there is a convenience store, Mexican restaurant, local NH craft store, and more. With large sweeping views of Boars Head and spectacular views of the glistening ocean, this is the ideal place to vacation. Welcome to the Surf Condos! One of Hampton Beach's newest development completed in July of 2015. This third floor ONE bedroom condo unit features spectacular ocean views from it's very own private balcony. 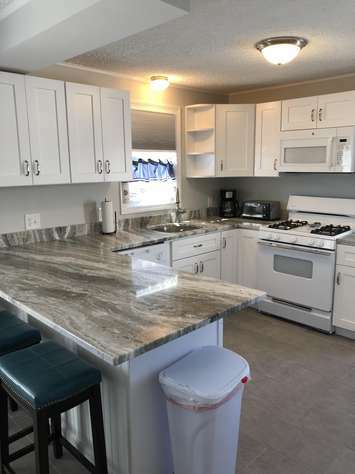 Inside the unit has granite counter tops, stainless steel appliances, two flat screen TVs, Cable, WIFI, and two whisper quiet Mitsubishi AC units. The ground level has a convenience store, Mexican restaurant, and a NH craft store. Avoid traffic with this easy in and easy out location. Close to everything. You will not be disappointed! 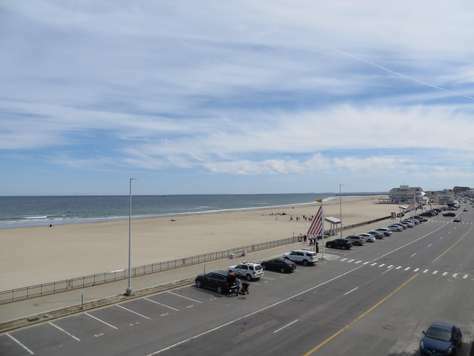 Hampton Beach's newest luxury ocean view condo. 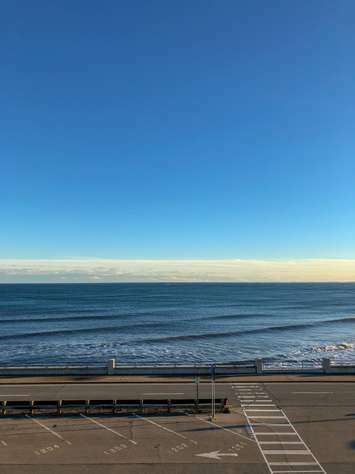 This one bedroom third floor ocean view condo features high end furnishings, stainless steel appliances, whisper quiet air conditioning, WIFI, Cable, and of course an ocean view balcony. On the ground level there is a convenience store, Mexican restaurant, local NH craft store, and more. With large sweeping views of Boars Head and spectacular views of the the glistening ocean, this is the ideal place to vacation. 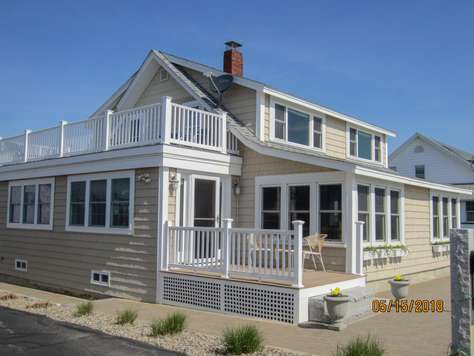 Come enjoy the newest ocean view condos on Hampton Beach. What a view! Newly built condo directly across from the beach. Inside features stainless steel appliances, granite counter tops, two whisper quiet Mitsubishi ductless air conditioners, Comcast cable, and WIFI. Enjoy the amazing ocean views from this top floor uncovered private balcony. See Boar's Head directly out your window with sweeping views of the north and south. Quick access to Route 101 for easy in and out travel. You will not be disappointed! 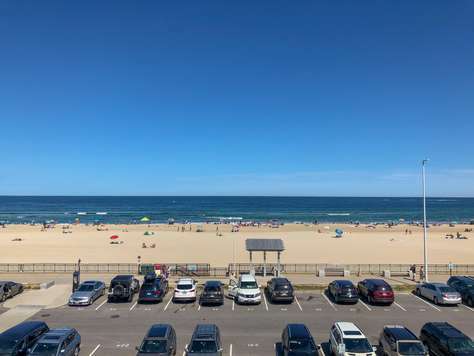 This is a third floor unit in the luxurious Sea Spray Condo building, right on Ocean Blvd at Hampton Beach. Fantastic private balcony with captivating ocean views! Luxury condo with hardwood floors, kitchen with granite counters and stainless appliances. Two bedrooms. Two bathrooms. 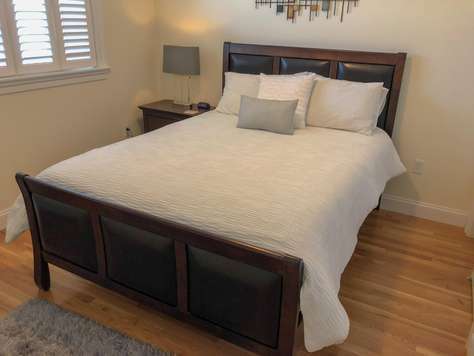 Master bedroom has king sized bed and second bedroom has bunk beds with a full and twin mattresses. Living room has pull out queen sleep sofa. All new furnishings. Fully equipped kitchen with pots and pans. Washer/dryer in unit. Whisper quiet central air system. Frozen yogurt store on ground level. Close to restaurants and all attractions! Hampton Beach! Penthouse unit at the Sea Spray Condos located directly on Ocean Boulevard. Enjoy amazing ocean views from your very own private balcony. This luxury condo features hardwood floors, stainless steel appliances, and granite counter tops. This unit features two whisper quiet Mitsubishi air conditioners. Washer/Dryer. WIFI and cable are also included. Queen bed in the bedroom. Spend a week at the beach in this amazing condo! Hampton Beach! Completely updated and modern two bedroom & two bath condo with a community grill area on-site and a heated swimming pool. Washer/Dryer in building. Full kitchen. A/C, WIFI, Cable. Hardwood floors. Beautifully decorated. Less than 500 feet from the sand. Ideal location, close to everything. This unit comes with one car parking. Newly renovated! Washer / Dryer on site. Full Kitchen. WIFI, cable, new laminate flooring, granite countertops. Beach chairs & umbrella provided. Just steps to the beach! 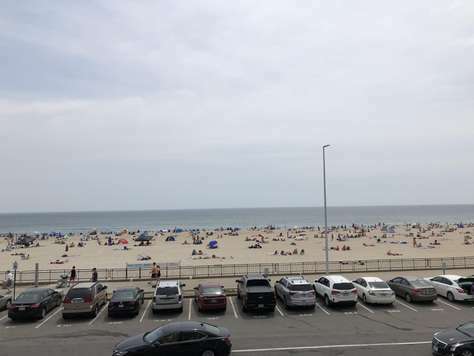 Enjoy the serenity of North Beach with a quick 2 mile drive to the restaurants and nightlife of Hampton Beach. Amazing three bedroom ocean view penthouse condo located only a block from North Beach. Enjoy the ocean view from a private wrap around balcony. Full kitchen. Washer/dryer in the unit. WIFI, Cable. Parking for two cars. Heated swimming pool. Easy in and out location. Coffee shop is less than a 5 minute walk away. Enjoy sweeping ocean views from your private balcony! This two bedroom, two bathroom condo features a full kitchen fully equipped with cooking, and eating utensils. Two parking spots, one garage space. Elevator. Cable TV. Porch with marsh views. Located in the quieter section of the beach. Don't miss it! Hampton Beach! 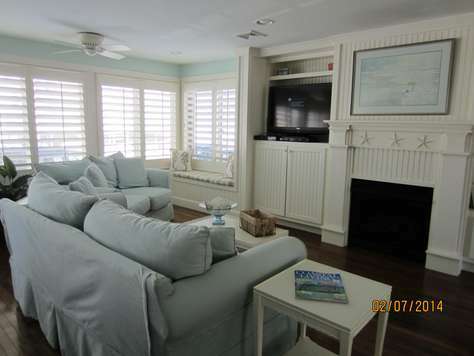 Completely rennovated top floor unit only a 5 minute walk to the sand. Updates include new laminate flooring, granite counter tops, fresh paint, and bathroom. Great location. Enjoy your very own balcony. Parking for two mid-sized cars. Cable, WIFI, and A/C included. Book today! Hampton Beach! 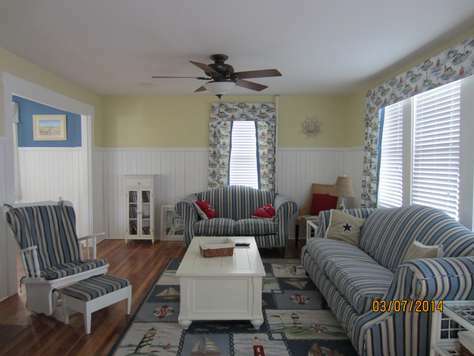 Completely updated 4 bedroom house only a half block from the beach. Beautiful hardwood floors throughout, a relaxing sun porch, a fenced in backyard, and a large porch make up this beautiful home. Plenty of parking for 3+ cars. Cable, WIFI, and Air Conditioning are all included. Located right in the heart of Hampton Beach & close to all restaurants, the casino ballroom, and arcades, there is something for everyone. You will not be disappointed! Gorgeous North Beach home with hardwood floors and central air. Kitchen has 6 burner stainless gas range, large stainless fridge, 2 drawer dishwasher and granite counters. Charming built-in's in living room with window seat. Master bedroom has its own bath and balcony with ocean view. One bedroom is on first floor. Ceiling fans in every room. Washer/dryer. Cable TV and internet. Patio has table with chairs and lounge chairs.